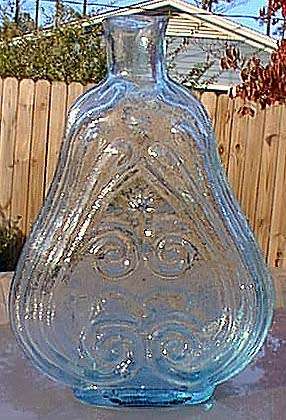 Historical Flasks (also called Figured Flasks) are the king of bottles, with the top price fetching $66,000. There are many different shapes, including eagles, cornucopias, scroll, and sunburst. Many had the busts of important people such as George Washington, Andrew Jackson, Benjamin Franklin, and Lafayette. Color is very important for flasks, with aquas being the most common and cobalt blue the rarest. Reproductions were commonly done on historical flasks, so buyer beware! Many Historical Flasks are bought and sold online at ebay. Check the Collectibles:Bottles:Flasks category or search all ebay categories for Historical Flask.